You know what QR Codes are and you’ve seen them around. You know QR Codes are widely used today. They’re popular from technology-intensive industries such as marketing, retail, and payments to non-tech industries like agriculture. Goldhill Organics is an online meat box company based in Dorest, England. In 2017, the company added QR Codes on its packaging. 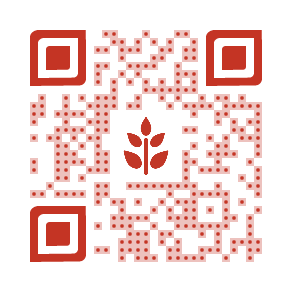 The QR Code lead to the website FollowThisFood where consumers could learn more about Goldhill Organics’ product i.e. meat. “Providing high-quality, local produce from small producers in a highly transparent way is the very essence of what Goldhill does. We have all read about misleading labelling and the use of fictional farm brands so FollowThisFood provides our customers with the trust and confidence that the food they are buying is exactly what it claims to be.” -Nick Somper, Co-Founder, Goldhill Organics. 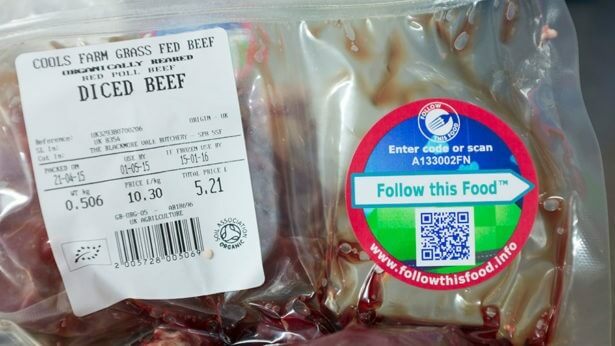 In 2017, Australia and New Zealand introduced QR Codes on the packaging of the food they export to China. This was to curb the circulation of Chinese fakes of their fresh produce products. 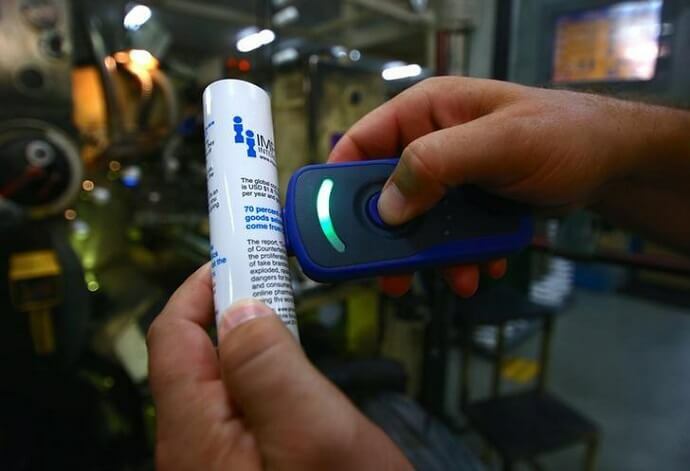 Scanning the QR Code on the packaging allowed users to verify the product. “Categories that are faked so regularly are the (fresh produce) ones where New Zealand and Australia are strong.” -Mark Tanner, Director, China Skinny (adviser to western businesses operating in China). Reports state that counterfeited goods worth $1 billion were seized in China in 2014. Each year, counterfeiting costs the food industry approximately $40 billion. With the QR Code verification system in place, ANZ expects to keep loses due to counterfeiting at bay. AgConnectWA is a farmers group based in Western Australia. 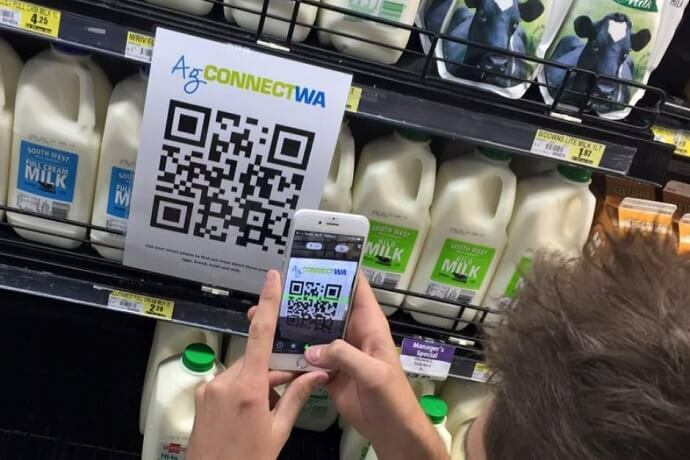 In 2015, the group launched an initiative to connect consumers to farmers via QR Codes. As part of the initiative, Farmer Jack’s supermarket at Halls Head displayed QR Codes on meat, dairy, and bread aisles. Customers could scan the QR Code to learn more about the products. The initiative is the brainchild of Venad Poultry Farmers Producers Limited. Kerala Agricultural University supports the group. “We aim to provide safe chicken to consumers and ensure farmers a base value apart from the farm rate, complying with the market price of chicken. The QR (Code) tag will bear a unique number for the farmer who reared the chicken, his name and address, details of the feed used and the chicks used for rearing.” – Dr K. Chandraprasad, Chairperson, Venad. In Dec 2016, the Hanoi Agricultural Trade Promotion Center introduced QR Codes to the packaging of 550 safety agricultural products and five manufacturing and trade units in the Vietnamese capital, Hanoi. 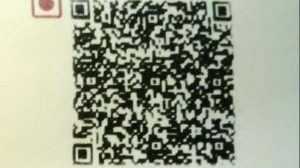 These QR Codes are linked to a webpage with information about the origin and processing of the foods. The organization also plans on using QR Codes to trace products to counter fraud. In 2016, Malaysian Ministry of Science, Technology, and Innovation (MOSTI) adopted QR Codes. 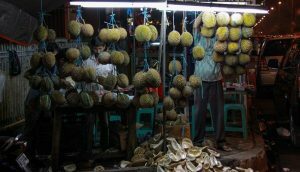 The aim was to ensure the quality of Durian, a tropical fruit and curb counterfeiting. By scanning the QR Code, consumers could check the authenticity, place of origin, and packaging date. When users scan this QR Code, the suppliers can access information such as the location of the scan and the type of device used to scan the QR Code. This allowed suppliers to track the shipment of the fruit. In May 2013, The Pudong Agriculture Association, China added QR Codes to over 300,000 locally grown watermelons. 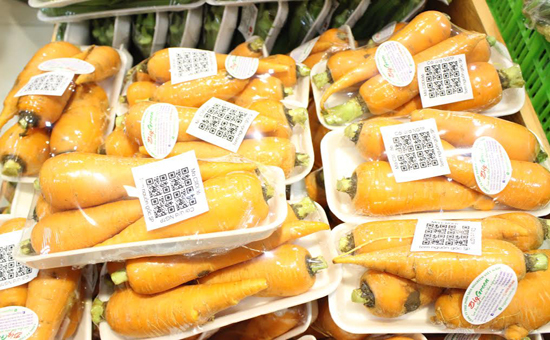 By adopting QR Codes, the association aimed at increasing food safety. Potandon Produce is a company based in Idaho falls, Idaho, United States. In 2010, Potandon Produce added QR Codes to packaging bags containing Klondike potatoes, a variety of potatoes.. The QR Code are linked to a webpage with recipes featuring potatoes in various forms. The company’s aim was to encourage people to eat potatoes in different ways and increase sales. “Eventually we’ll have it (QR Codes) across the board on all of our products. 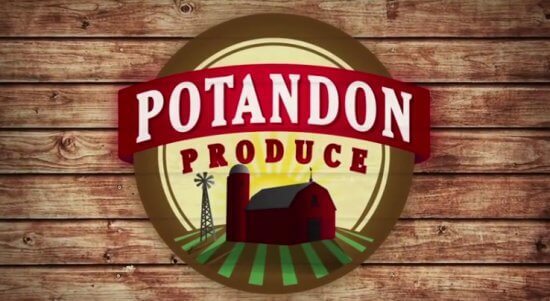 I think there are a lot of options with it.” – Barbara Keckler, Marketing Coordinator, Potandon Produce. The above uses cases of QR Codes in agriculture show how consumers now are more aware and looking for information before making a purchase. Companies recognize this and are making sure the necessary information reaches the consumers. With QR Codes, exchange of information becomes easier. If you are looking for ways to better engage with your audience, use QR Codes.